Providing Montgomery, Conroe, and The Woodlands, TX patients with an exceptional Chiropractic experience since 1998. Dr. Tony DeRamus is a 1998 graduate of Parker College of Chiropractic in Dallas, Texas. Although he has spent his entire adult life involved in fitness and nutrition, it wasn’t until he decided to attend Chiropractic College that his passion turned into a career. Dr. DeRamus has now spent the last fourteen years helping and serving patients. 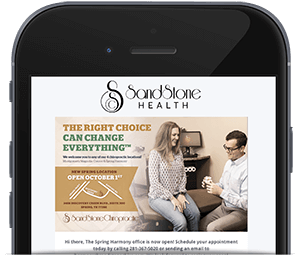 During this time, he has been voted one of “America’s Top Chiropractors” on several occasions. 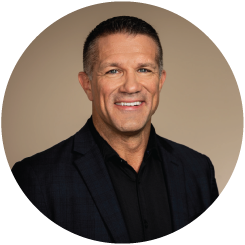 He is the former chiropractor of the Houston Texans Cheerleading squad and is currently a member of the Houston Rodeo Sports Medicine Team. Dr. DeRamus is the author of the book “The Secret Addiction” and is the president of SMA International, LLC, a company devoted to addressing the rampant abuse of marijuana worldwide through various mediums such as books, internet, and seminars. He also serves on the Board of Trustees for SonLight Power; a Christian based volunteer organization utilizing solar panel technology to provide electricity to orphanages, medical clinics, schools and churches in various parts of the world. Dr. DeRamus is also on the Board of Directors for the Christian based organization Soul Needs, which provides food and clothing for those less fortunate in the Greater Houston area. Why practice in the Lake Conroe area? It was a family decision. He and his wife, Patty, wanted a special place to raise their two boys, Cayden and Joshua. Montgomery, Texas, in his words, was a “no brainer.” “Everything about the area is spectacular, but the people make it that much better,” says Dr. DeRamus.